NOTICE: The server that hosted this page for several years was attacked by hackers and has been permanently taken down. This page has been rebuilt from backups and all sections are now available. This is only the second time in almost four years on-line that I have elected to feature one of my own cars as Stude of the Month. 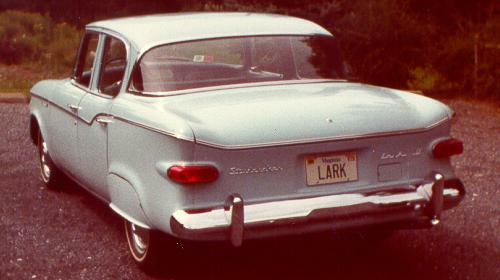 I owned this 1960 Lark Regal 4-Door Sedan from the late 1970's until the early 1990's. 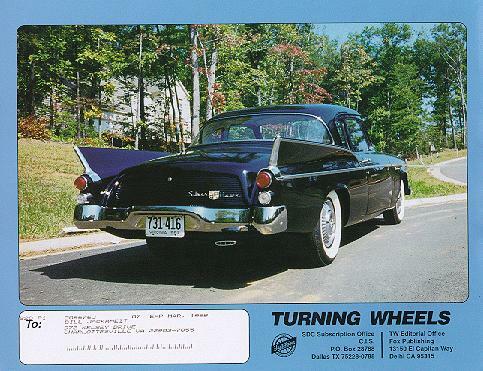 It was purchased from a former Studebaker dealer who had kept the car in storage for several years. I added the Foxcraft rear fender skirts, Lark hood ornament, and the genuine Studebaker accessory daytime running light. 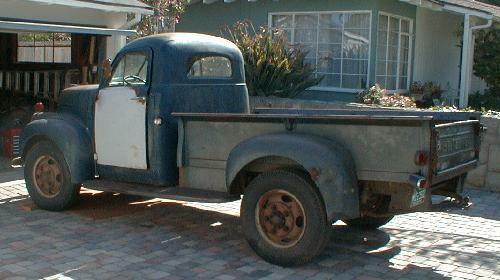 Since it was equipped with overdrive, it was an adequate highway car with the 170 cubic inch flathead six. I recently learned that this car changed hands at least twice after I sold it. The current owner is SDC member Frank Drumheller of Louisa, Virginia. 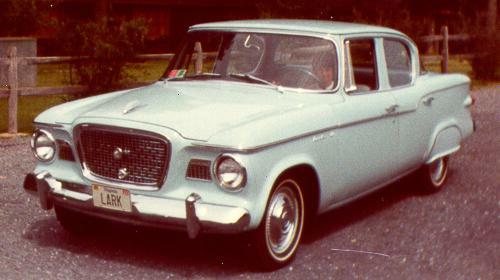 I am very pleased that the car is still around and in the hands of a caring Studebaker family. 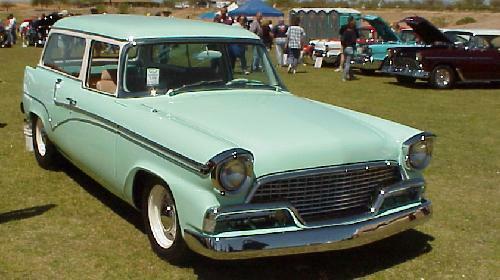 Bill Junge of Lake Havasu City, Arizona sent in these pictures of a cool 1956 Studebaker 2-Door Station Wagon. They were taken at a show in Scottsdale, Arizona in April of this year. 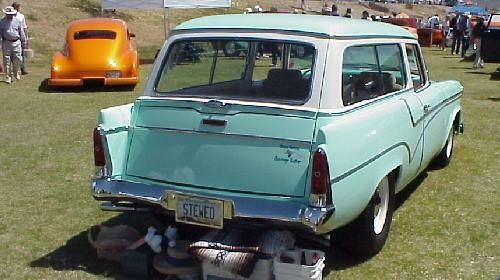 Studebaker did not offer a 4-door wagon until 1957. Bill, who is a regular contributor to this page, also sent pictures of other neat Studes from the Scottsdale show. More of these will appear on this page during the next several months. 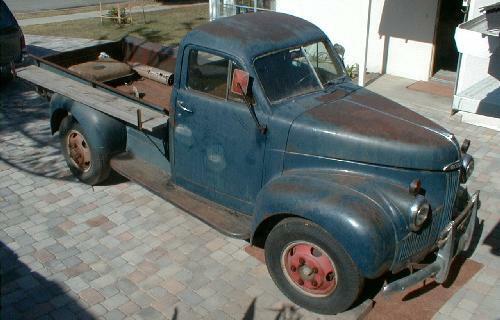 Bill Frost of Santa Barbara, California sent in these pictures of his 1948 M15 Pickup. Bill indicates that he just recently pulled it out of a barn in Maine, where it had sat for the last 15 years. A brake rebuild, body work, and new paint are in its future. It is always good news when a "lost" Stude is reclaimed from a field, barn, or wrecking yard. This is perhaps the most common version of the Solido 1957 Hawk. The body of this model is diecast, but the roof is plastic. This allowed it to be made with two roof variations, a hardtop as shown here, and a coupe. The coupe is typically found in two-tone blue, but some all black coupes were also produced. The all black version appears to be relatively rare. "Real" 1957 Silver Hawk Hardtops were sold in export markets but were not available in the U.S. market. Solido 1957 Hawks come across the eBay auction site fairly regularly. I purchased this one recently with a bid of $10.99. To see more toy Studes, visit my Studebaker Toys Home Page.